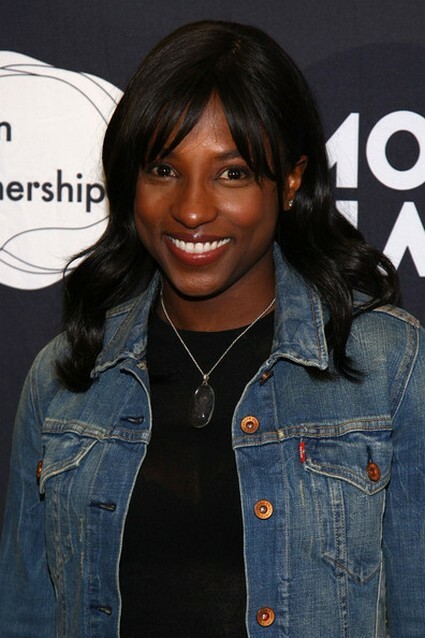 At the end of Season 4 of True Blood, the favorite adult fantasy/horror spoof, Rutina Wesley’s character, Tara, apparently dies at the end of the season’s concluding episode. After her best friend Sookie is confronted by a gun wielding Debbie Pelt, Tara dives in front of her and takes the bullet. Her head is blown off, leaving fans to wonder if she’ll be back in the show’s fifth season. Rutina has revealed that she is unsure about her character’s fate on the hit vampire show, saying that she’s still in the dark about Tara’s fate. NO she is not going to be in Prometheus! NO she is not going to be in the Walking Dead- even though that would be really cool! But, all these rumors are really more important to fans not because she will or won’t be on another show, but they are looking for a sign that she will be returning to True Blood during season 5. Rutina has confirmed, just after the Season 4 finale in September, that she would be back on True Blood but she herself remains silent as to the form she will assume. Will we see Tara in Flasback scenes – will she be a ghost – perhaps a fairy? Of course on True Blood, literally anything is possible – so perhaps missing half a head might not be fatal!